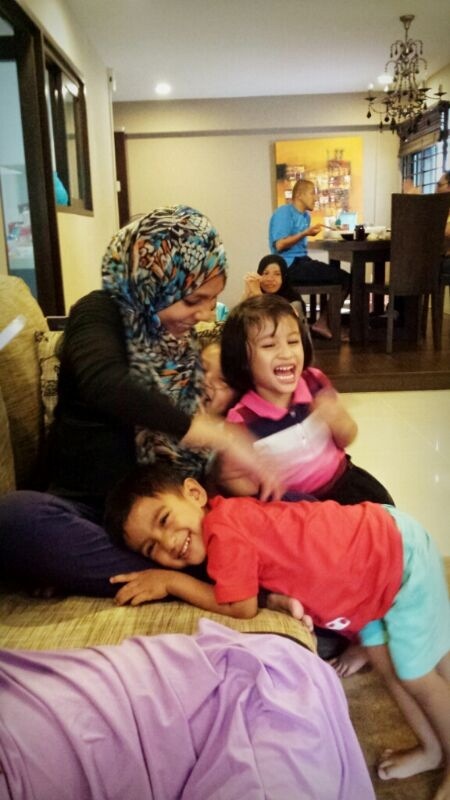 A week after I hosted Science Playdate #2, one of my forever-enthusiastic mommy, invited us over for a Starry Playdate at her cosy abode. She wanted to do a post-acitivity as she had attended a play based on a book, “How to Catch a Star by Oliver Jeffers“. 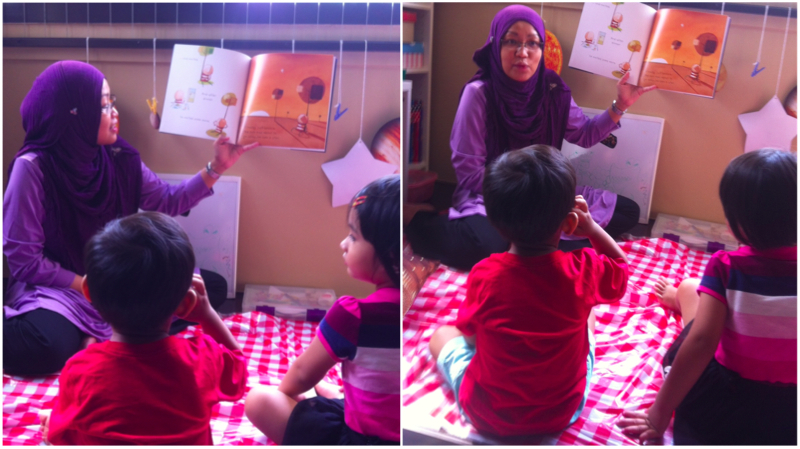 She started with story-telling, with props no less, and the kids enjoyed it very much. Actually, the pictures do not really do justice to his artwork. I did not realize that it could turn out this beautiful with just a bouncy ball and paint. The next activity is to illustrate a constellation of star. 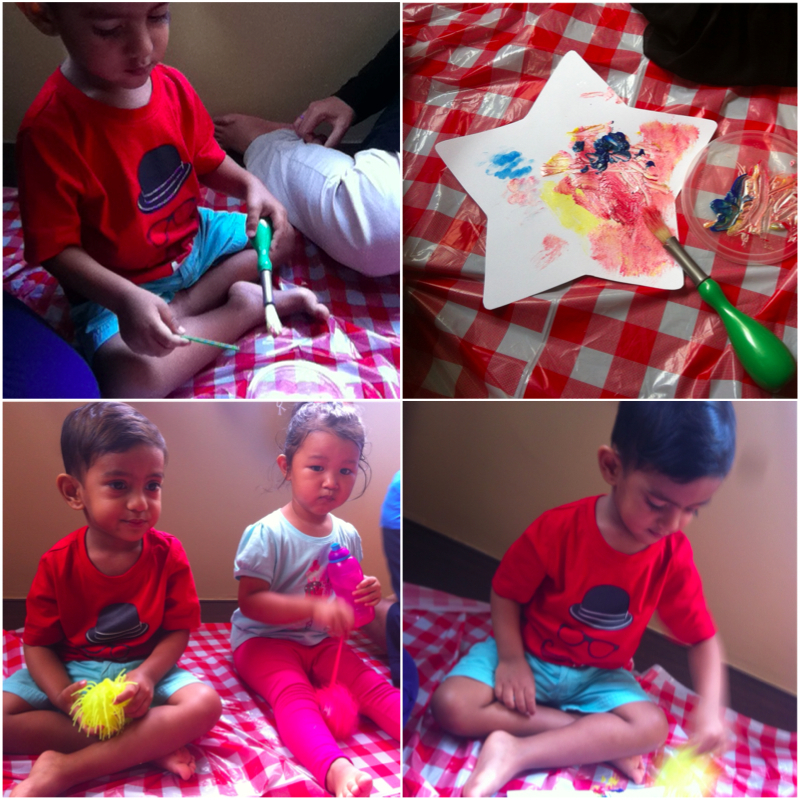 The next activity involved glitter glue and foam star stickers. 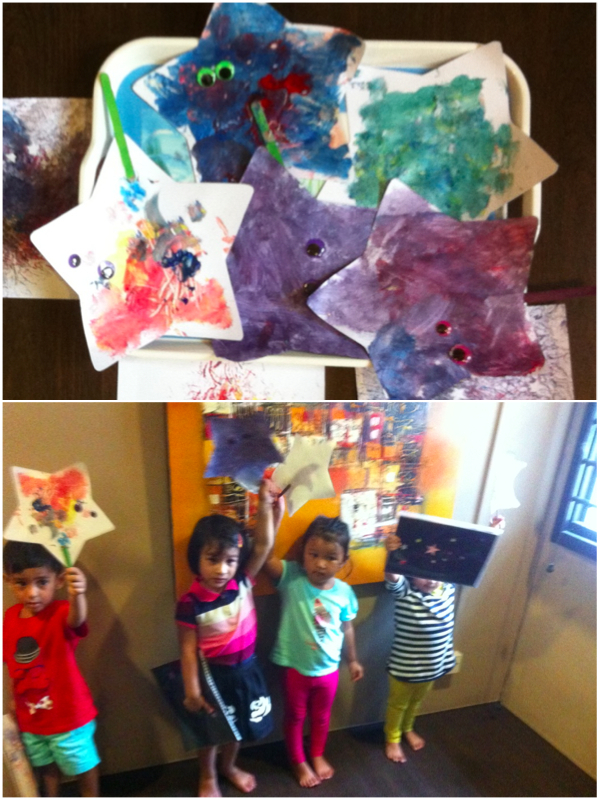 The kids spread the coloured glitter glue over the black paper. Using their tiny finger, they also spread the glitter glue around. This artwork was to illustrate the milky way. The Milky Way is a barred spiral galaxy some 100,000–120,000 light-years in diameter which contains 100–400 billion stars. It may contain at least as many planets as well. Thereafter, the kids were then allowed their own free play while the mommies caught up and indulge in more cakes, spaghetti and fruits! It was really a great day for the mind, body and soul (not forgetting the tummy! ).